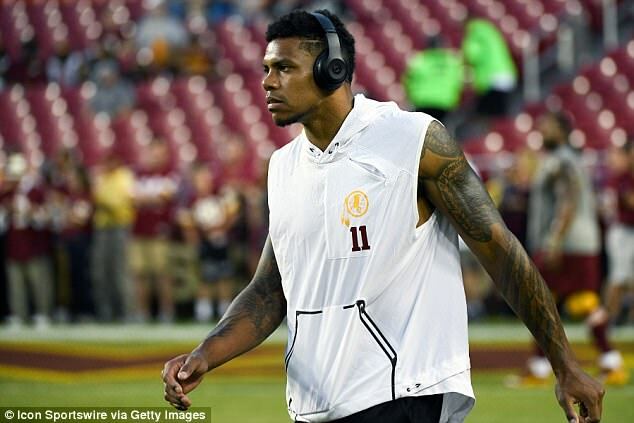 Washington Redskins star Terrelle Pryor accused a Chiefs fan of directing racial slurs at him, prompting the 28-year-old wide receiver to respond with obscenities and a middle finger as he walked off the field following Monday’s 29-20 loss in Kansas City. 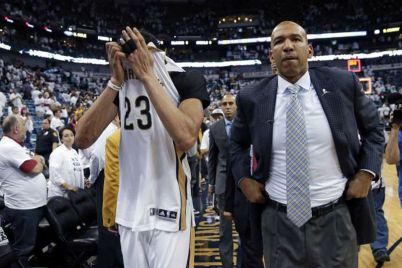 According to Pryor, the verbal abuse began during the game. 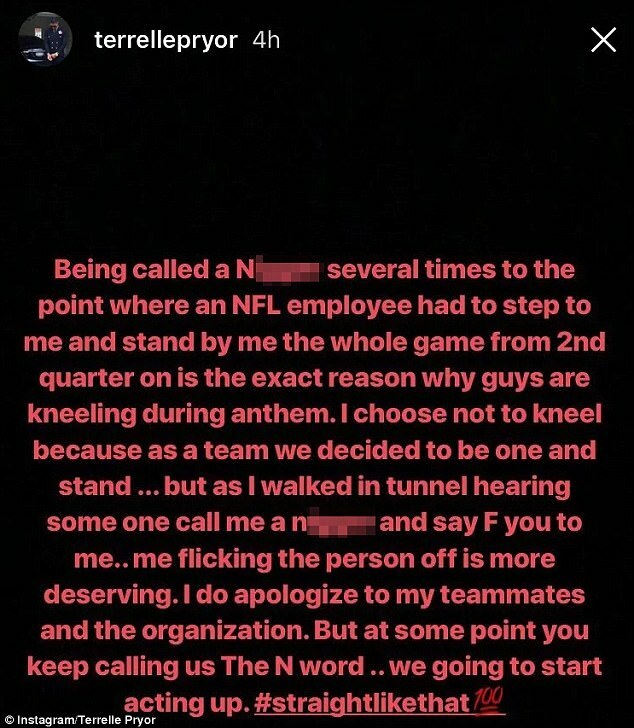 ‘Being called a N***** several times to the point where an NFL employee had to step to me and stand by me the whole game from the 2nd quarter on is the exact reason why guys are kneeling during the anthem,’ Pryor wrote in an Instagram post. Pryor and his Washington teammates stood and locked arms during the national anthem in Kansas City on Monday night rather than kneel, as many NFL players have, to protest police brutality against minorities, racism, and injustice. 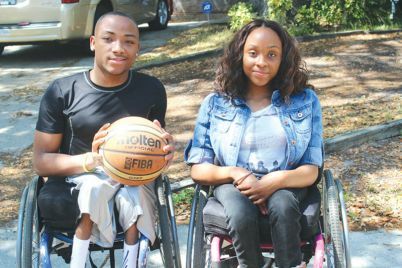 The incident was caught on video, which has since been publicized. 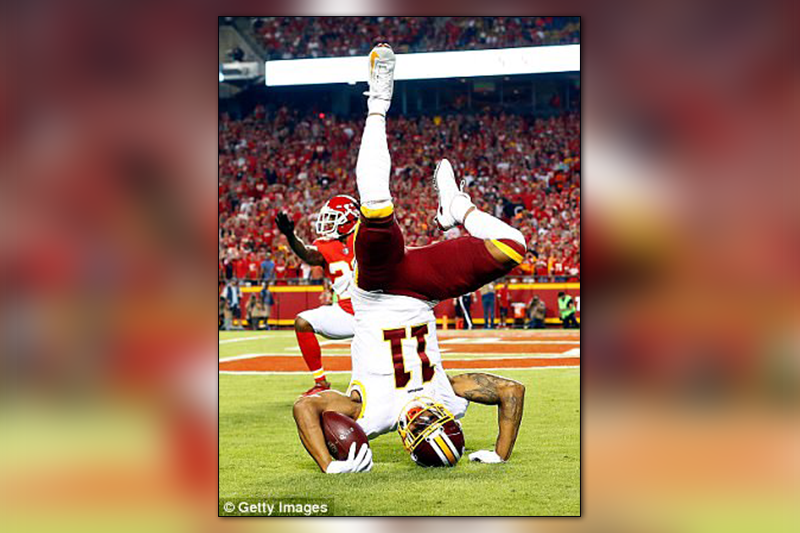 Fans can he heard yelling obscenities at Pryor, who spun around and displayed his middle finger before being restrained by a Redskins staffer. No racial slurs could be heard in the video, which did not provide conclusive evidence one way or another. Pryor wasn’t the only player to have difficulties with the crowd on Monday night. 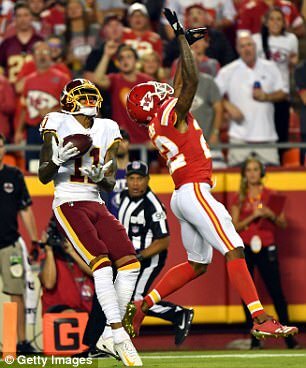 Chiefs cornerback Marcus Peters had a profane exchange with fans after he was beaten for a pair of touchdown completions. Peters was actually first beaten by Pryor for a long touchdown in the opening minutes of the game. After he yielded a touchdown to Washington’s Ryan Grant in the third quarter, Peters had his own argument along the sidelines. ‘Obviously I had a chance to see what took place and we can’t go in that direction,’ Chiefs coach Andy Reid said Wednesday, addressing Peters’ antics in a statement but refusing to take questions. Peters, who rarely speaks to reporters during the week, was not in the locker room Wednesday. Peters also drew the ire of many fans for sitting during the national anthem, something that he’s done regularly since last year, even though he stood with the rest of the Chiefs for a moment of silence to honor the victims of the Las Vegas shooting. Peters was chosen by the Chiefs in the first round of the 2016 draft after getting kicked off the team at Washington for repeated run-ins with coach Chris Petersen. During his first interviews in Kansas City, he talked about the arrival of his baby boy and how much he had matured. But he’s become a center of controversy during his first two-plus seasons, and many Kansas City fans would like to see him run out of town – despite back-to-back Pro Bowl appearances. Wide receiver Tyreek Hill did not say whether he had spoken to Peters specifically, but he did say that there is a certain amount of self-policing that goes on within the Chiefs locker room.